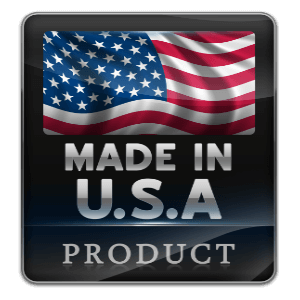 Made In The USA Products We are proud to be an American Based Company with offices and manufacturing facilities in the Bronx, N.Y. Our goal is to add as many American Made Products that, we and others produce, as possible. We are proud to be an American Based Company with offices and manufacturing facilities in the Bronx, N.Y. Our goal is to add as many American Made Products that, we and others produce, as possible. Vinyl covered memory foam mattress was created with a luxurious foam that retains its shape throughout the night. This large memory foam lounge bag features a soft microsuede cover and a memory and polyurethane foam blend for proper support. Gothic Cabinet Craft is a family operated business that manufacturers affordable real wood furniture for every room in your home. The California King Convertible Sleeper Sofa and Ottomans features a multi-functional "flip" design feature that allows it to adapt to any situation! Relax with friends in a comfortable three-seat sofa with matching ottomans, or stack the ottomans inside for a large bench or game table. Vinyl covered foam mattress was created with a luxurious foam that retains its shape throughout the night. Featuring EnviroLoft, a hypoallergenic down alternative polyester filling, this fiber bed is perfect for softening the hard bed in the dorm room. Rollaway Bed Cover - 40H x 35W x 18-1/2 In.D - Heavy-Duty 600 Denier Washable Polyester With Polyurethane Coating - Stain And Mildew Re sistant - Water Repellent - 40 In. W x 35 In. H x 18-1/2 In.D - Brown - Fits Most Roll-away Bed Up to Twin Size.Made in the USA - We come to market with thousands of strong product offerings that are competitively priced and made in America.Quantity Discount Available. Two Door Wardrobe with hanging rod and top shelf. Added versatility and enhanced performance. Our Butcher Bin is compact, mobile and efficient. A great addition to any kitchen. Use it for rolling out pastry dough...it will not stick. Organizes anda protects your investment. Just think about how much money we spend on just one pair of shoes. It adds up. Before you know it there are thousands of dollars worth of shoes cluttering up the floor of the closet. Our good looking, practical cabinets will accommodate the largest shoe collections. Getting them off the floor. Neatly organized in their own space. Keeping them clean and protected. Also eases the selection process each and every morning. The Single units are stack-able. 4220 Features: Constructed from durable melamine laminated particle board Tilting doors save space Large storage capacity Stackable For men and women Protects expensive shoes Stain resistant and easy to clean Made in the USA Assembly required Finish: Available in Black, Cherry, Oak and White Finish. Dimensions: 30 In. (W) x 11+ In. (D) x 18 In. (H) Item Weight: Approximately 33 lbs. Organizes anda protects your investment. Just think about how much money we spend on just one pair of shoes. It adds up. Before you know it there are thousands of dollars worth of shoes cluttering up the floor of the closet. Our good looking, practical cabinets will accommodate the largest shoe collections. Getting them off the floor. Neatly organized in their own space. Keeping them clean and protected. Also eases the selection process each and every morning. 4230 Features: Constructed from durable melamine laminated particle board Tilting doors save space Large storage capacity For men and women Protects expensive shoes Stain resistant and easy to clean Made in the USA Assembly required Finish: Available in Black, Cherry, Oak and White Finish. Dimensions: 30 In. (W) x 11+ In. (D) x 34 In. (H) Item Weight: Approximately 43 lbs. Organizes andá protects your investment. Just think about how much money we spend on just one pair of shoes. It adds up. Before you know it there are thousands of dollars worth of shoes cluttering up the floor of the closet. Our good looking, practical cabinets will accommodate the largest shoe collections. Getting them off the floor. Neatly organized in their own space. Keeping them clean and protected. Also eases the selection process each and every morning. 4240 Features: Constructed from durable melamine laminated particle board Tilting doors save space Large storage capacity For men and women Protects expensive shoes Stain resistant and easy to clean. Holds approximately 27 pairs of shoes. Made in the USA Assembly required Finish: Black, Cherry, Oak and White. Dimensions: 30 In. (W) x 11+ In. (D) x 48 In. (H) Item Weight: Approximately 75 lbs. 4-Fully Mirrored Door Wardrobe. Hanging rod and 4-Shelf. 4mm thick with Beveled edge mirror on 4 sides. Strong Construction. Easy to assemble. Made of Melamine with Scratch resistant qualities. Available in White, Black, Beech and Mahogany Finish. Also Available with No Mirror in the Front. -Detailed and easy to follow instruction manuals with large and clear images of the assembly process. -Consumer assistance includes free shipping of replacement parts and hardware, assembly help over the phone or via e-mail .Size: 48 In. (W) x 22 In. (D) x 72 In. (H) Wood Type Information Click HereMade In The USAQuantity Discount Available. A place for everything. Wonderfully compelling bookcase doubles as a 6 room doll house. Provides a cozy home for books, toys, dolls and more. Barbie« never had it so good. Shelves are 15 high and will hold the largest books. A great way to encourage imaginative play as well as organize youngsters&#8217; belongings. A place for everything...and everything in it&#8217;s place. Right Mom? Matches every dTcor and will be enjoyed by both boys and girls. 5010 Features: Constructed from durable melamine laminated particle board Rugged, sturdy construction Organizes clutter Fun to play with Extra large storage shelves Water resistant and easy to clean Made in the USA Assembly required Finish: White and trimmed in Yellow Dimensions: 45 In. (W) x 12 In. (D) x 55 In. (H) Item Weight: Approximately 73 lbs. Two Mirrored Doors And Two Un-mirrored Doors Wardrobe with Jumbo 10 In. drawers, hanging rod and three shelfs. 4mm thick with Beveled edge mirror on 4 sides. Strong Construction. Easy to assemble. Made of Melamine with Scratch resistant qualities. Available in White, Black, Beech and Mahogany Finish. Also Available with No Mirror in the Front. -Detailed and easy to follow instruction manuals with large and clear images of the assembly process. -Consumer assistance includes free shipping of replacement parts and hardware, assembly help over the phone or via e-mail .Size: 48 In. (W) x 22 In. (D) x 72 In. (H) Wood Type Information Click HereMade In The USAQuantity Discount Available.